Umbria in English: Umbria - why I can´t stop writing about it. 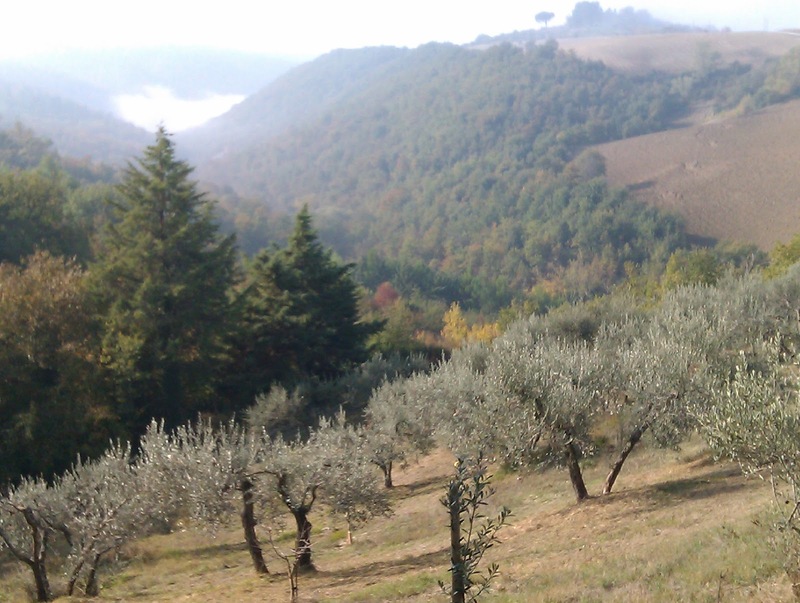 Umbria - why I can´t stop writing about it. This time, my blog is part of a blogtour I got involved in by my new virtual friend Jen. Her blog about the love for her Italian heritage and her passion for Italian wines started due to her Italian roots and was followed by a study in Italy, that woke her interest in Italian wines. The drive to truly learn the insides and outs of Italian wines led to the birth of Jen´s blog Vino Travels, where she shares experiences from her travels through the world of Italian wines and information from Italian wineries in particular. Jen will be a certified Italian Wine specialist later this year. The purpose of the blogtour is to enlarge the network of bloggers by sharing other people´s blogs and show you wht their world, work, knowledge and interests are like, whilst on the other hand I will try to describe why I write what I write. My one and only real important goal in life is living it in Umbria, Italy. Through the years, I met a lot of nice people from Umbria. Some of them really care so much for this beautiful region that they promote it in the world and made me write a few guestposts for them. It feels like the ideal combination, sharing the lovely things of my life and being at the place I love at the same time. I haven´t completely reached the last, but, as said, I am working on it. Actually, it doesn´t. My blogs about the Umbrian villages and spots give no details that can´t be found in a regular travelguide. The difference can only be felt in my passion for the whole spectrum, from Umbrian food to wide views, from wine tasting in a cantina to a medieval market in Bevagna. 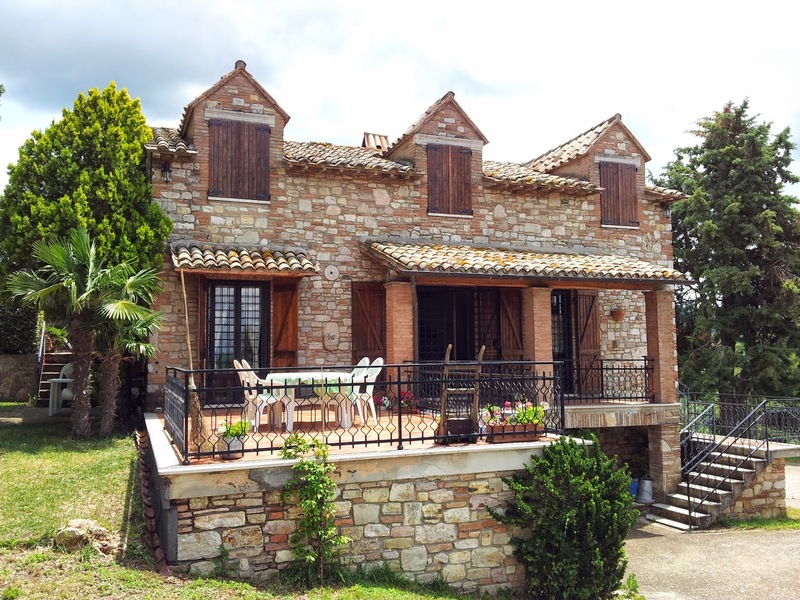 I love Umbria´s famous attractions like Assisi, but have a strong feeling for it´s amazing countrylife as well. I can write about the wild flowers at the Piano Grande one day, about picking olives the next day. About the amazing works in Perugia´s Galleria Nazionale on day three and on day four I may have met a hunter who explains the ins and outs of his life and gives me a recipe for hare nonna style. The thrill I get and share from all these small things is what gives my work a personal touch, rather than merely an Umbria promotion. Of course, it would be nice if other people become interested in the many things Umbria has to offer. It would be great when people would start to appreciate Umbria´s value as highly as I do and give Umbria´s tourism a strong injection. Besides, by writing about Umbria and about my passion for it in particular I can make people understand – a little – why I am who I am. Until now I haven´t been aware that there was something as a writing process. By thinking about it now, I realize that I can´t NOT write about Umbria. The love for Umbria, the impressions and feelings keep flowing and turn into words that I simply have to let come out. My experiences from Umbria are little pearls in my life, that all together form a lovely necklace. To me, writing is completing this necklace and I hope to finish it with the most precious jewel, my own place in Umbria and never having to leave it anymore. Before clicking `send` I want to thank Jen for this opportunity, and pass it on to my friend Simone. She is a foodblogger, professional food photographer and a gifted cook as well. Her blog offers an abundance of recipes, travel stories and of course pictures. An especially nice detail are the stories about and the pictures of her gorgeous cats, but the core bussiness is food, with a capital F.
Someone else whose blog is worth viewing is the one written by my friend Alessandra. She and her brother Leonardo from Discovering Umbria organize wine and food tours in Umbria that will be an unforgettable experience of years of culture and traditions across the magical land of Umbria. Good luck Simone and Alessandra, and many thanks to all of you who read my blog. Thanks so much Yo for passing the honor on to me! And it was fun reading a bit more about your writing!